Discount apps are on the rise as applications hope to match suppliers that have too much stock with buyers seeking good deals. The Entertainer hopes to get a share of the market with the launch of their 2019 edition which features over 2,590 offers. 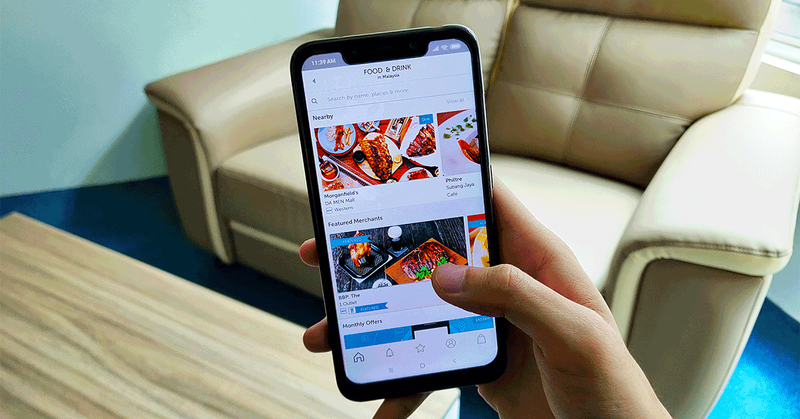 With the rise of apps that offer food discounts such as Fave (formerly known as KFit), Eatigo, and Offpeak, consumers are spoilt for choice to decide where to eat. However, most of these discount apps such as Eatigo and Offpeak are aimed at helping establishments fill up empty seats during non-peak hours, offering up to 50% discounts on meals during odd hours. 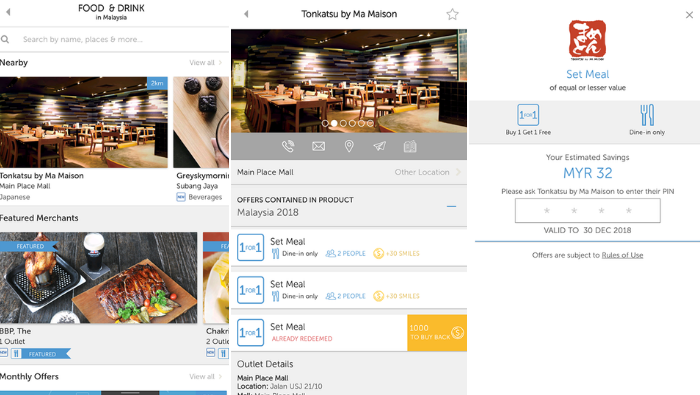 Although consumers get to enjoy these discounts with no cost by using the apps, the discount apps actually help to steer more business to F&B establishments, helping to fill empty seats. Customers may be getting 50% off, but they often make it up to the merchant by ordering extra items, such as the case of customers using Eatigo as the discount applies to all food items on the menu except drinks. For those who didn’t know, most of these apps use a similar concept as magazines back in the day, where they have cut-out coupons that offer deals. One such app that actually transitioned from a magazine concept is Entertainer which was established way back in 2001. They were known for printing a book of vouchers, which you could buy and then use. Eventually as technology advanced, Donna Benton the founder and chairman of Entertainer decided that it was time to transition the company from a print publication to what it is today. Donna got the idea for The Entertainer after she moved to Dubai and noticed that many restaurants were largely empty. She decided that she could connect these merchants with customers who were seeking new experiences and better value. One of its closest competitors in this region is Eatigo—backed by TripAdvisor—which brands itself as a “yield-management” company. In an interview, Eatigo’s chief executive and co-founder, Michael Cluzel said that the startup is aimed at helping restaurants increase their profitability by filling more seats and boosting revenue rather than trying to connect diners to new experiences, as in the case of the Entertainer. Eatigo is a free app, so instead of offering subscriptions, they charge restaurateurs a fee for each diner the app brings in. Diners download the app and choose from a menu of restaurants, select a time slot along with its corresponding level of discount and make a reservation. For the Entertainer app, their main revenue comes from charging members an annual subscription fee of RM180 (retail price), but they’re currently offering an early bird price of RM95 for a limited time. Some people might be discouraged from the price tag, especially Malaysians who prefer free stuff. So how do they get people on board? The app offers 1-for-1 deals, mainly for F&B outlets. They do offer deals for other categories such as attractions and retail, but their main draw is F&B. Currently for the Entertainer 2019 edition, the app has over 2,590 offers for restaurants, attractions, golf courses, spas, salons, bars, nightclubs, and retail offers. Some of the brands on the app include Morganfield’s, Delicious, SF Coffee, Marmalade and Sothy’s. Although it sounds great, there’s a caveat. Although the app mentions that you can use the app for 7 days a week, there are certain “exclusion days”, which mainly fall on the eve of public holidays and public holidays itself. Glancing through the list, it looks like you won’t be able to bring your significant other for a nice dinner during Valentine’s Day, for instance. The main draw of Eatigo to me is that they offer weekly and monthly promotions such as free TGV tickets if you attend a set number of reservations in a given time frame. This keeps users like me coming back to the app as there are constant rewards on top of the discounts. On the other hand, for the Entertainer—as previously mentioned—it’s about helping connect merchants with customers who are seeking new experiences and better value. 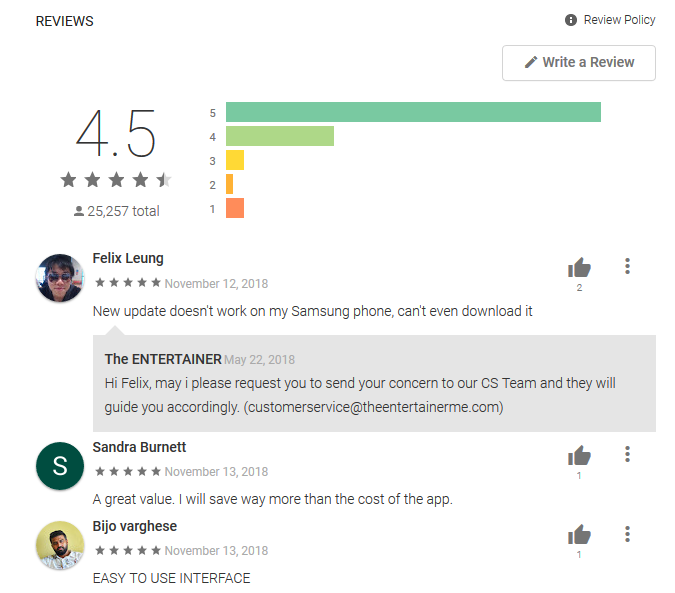 The Entertainer app rating on Google Play. However, after seeing such positive reviews of 4.5/5 from the Google Playstore, I had to try my hands on the Entertainer app. Choosing the closest offer near me which was Tonkatsu by Ma Maison at Main Place, Subang Jaya. 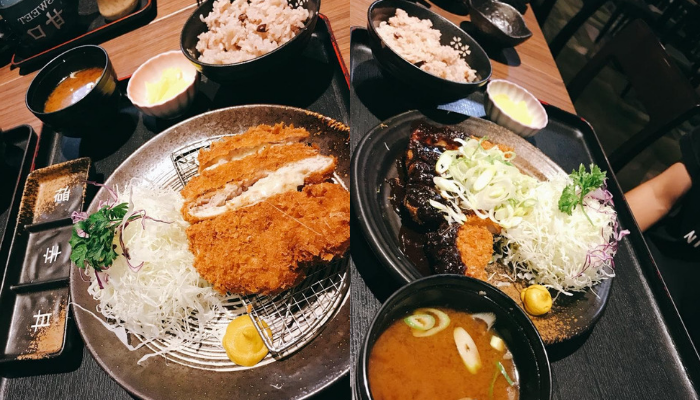 Our meals at Tonkatsu by Ma Maison. Aside from the meal being delicious and cheap (thanks to the app), the staff knew what the Entertainer app was and how it operates as I was constantly bugging them with questions such as “do I claim it now?”, “what if I order one dish that is more expensive than the other?”, “how does it work?” and more. How to use the Entertainer app (L-R: Check out the merchants nearby, select a merchant, and after that it’s up to the merchant to key in the pin). My questions were answered with precision and when it came to paying for the bill, the cashier recognised the app and knew how to deal with it—just pick the restaurant and the offer, then show them the app and they’ll key in their pin number to claim the deal. Done in less than a minute. All in all, other than the hearty meal, I was quite impressed with the deals offered on the Entertainer as these restaurants aren’t your typical chap fan stalls, and they’re pretty high end. So to get a 1-for-1 offer at restaurants that can be pricey is quite a sweet deal. Although I’ll be using the Entertainer app more often, I won’t stop using Eatigo as their offers can be used an unlimited amount of time, whereas the offers on the Entertainer app are limited to 3 times a year for each offer (if you want more you have the option to “buy-back” the offers). I’m sure The Entertainer isn’t for everyone, but if you’d like to wine and dine at fancier places, it’s hard to find a better deal. For those still skeptical about putting in your money, the Entertainer has a trial version that lasts 14 days so you can get a taste of what’s it like to be a Crazy Rich Asian. If you would like to try the Entertainer app, you can download it on iOS by clicking here and for Android by clicking here.